Three tiers of fringe cover the tall shaft of a flat suede boot, trimmed with whipstitching along the seams for subtle detail. 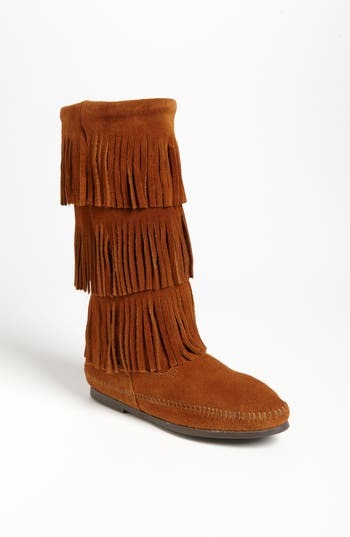 Style Name: Minnetonka 3-Layer Fringe Boot. Style Number: 231508. Available in stores. Antiqued medallions top the braided trim on a moccasin-style bootie fashioned with a playful fringed cuff. 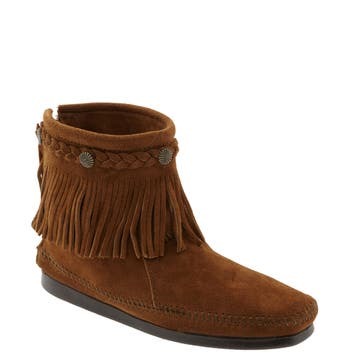 Style Name: Minnetonka Fringed Moccasin Bootie (Women). Style Number: 295341. Available in stores. Pushpin hardware modernizes a svelte cap-toe bootie girded with wraparound straps and set on a sculptural block heel. 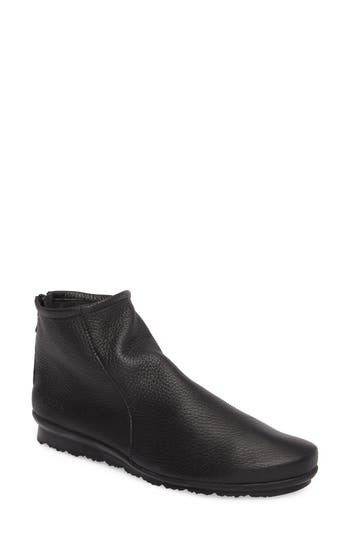 Style Name: Rag & Bone 'Harrow' Leather Boot. Style Number: 697335. Available in stores. 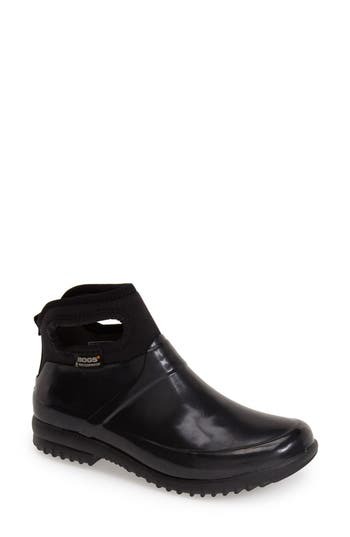 Comfort and quality combine in a glossy, water-tight rubber boot finished with a traction-gripping sole. A subtle tonal design circles the top, while an adjustable buckle at the side adds interest. 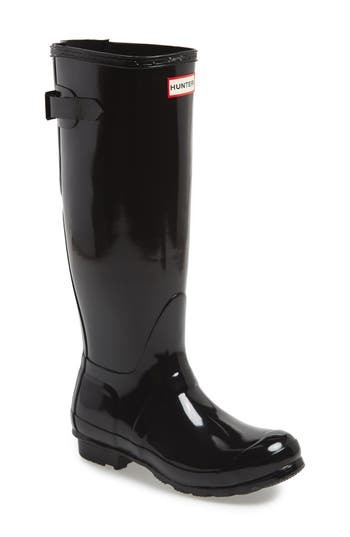 Style Name: Hunter Adjustable Back Gloss Rain Boot (Women). Style Number: 737957. Available in stores. 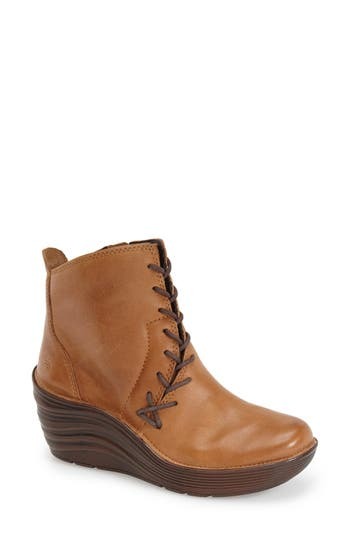 Smooth leather fashions a classic lace-up ankle boot with a comfortable round toe and heavy-duty outsole. 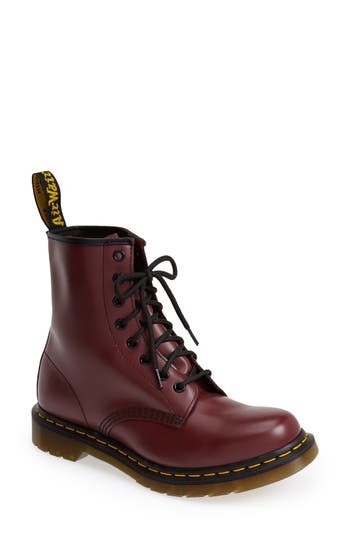 Style Name: Dr. Martens '1460 W' Boot. Style Number: 281996 1. Available in stores. A mid-calf waterproof rain boot, handcrafted from natural rubber, sports a sturdy buckled-up design and a lightweight sole for a rainy-day lift. 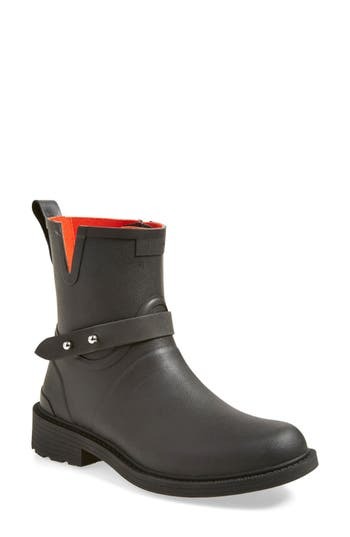 Style Name: Ilse Jacobsen Hornbaek Rubber Boot. Style Number: 378235. Available in stores. A studded strap and rugged lug sole lend a touch of moto edge to an essential rubber rain boot. 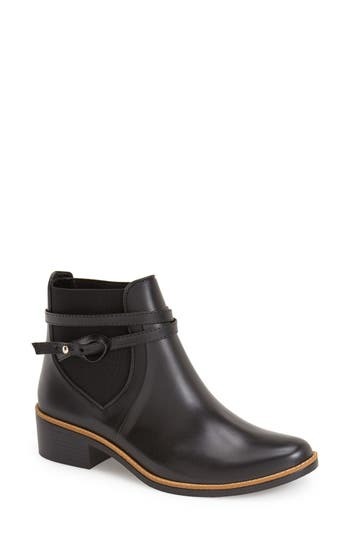 Style Name: Rag & Bone Moto Rain Boot (Women). Style Number: 1175486. Available in stores. Tiered fringe cascades down the shaft of a comfortable moccasin boot grounded by a nubby rubber sole. Antiqued studs embellish the braided collar for subtle detail. 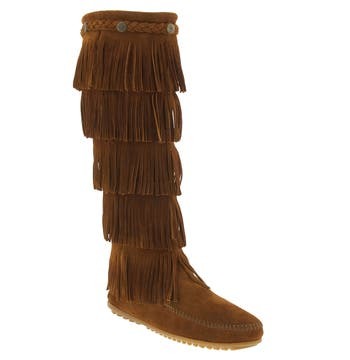 Style Name: Minnetonka '5 Layer Fringe' Boot. Style Number: 265995. Available in stores. Buttery-soft deerskin perfects the flexible fit of a durably lightweight boot designed with a shock-absorbing sole. Style Name: Arche 'Baryky' Boot. Style Number: 547100. Available in stores. A slouchy wedge bootie shaped from richly textured leather features an ergonomically designed, shock-absorbing footbed that offers a truly comfortable fit. 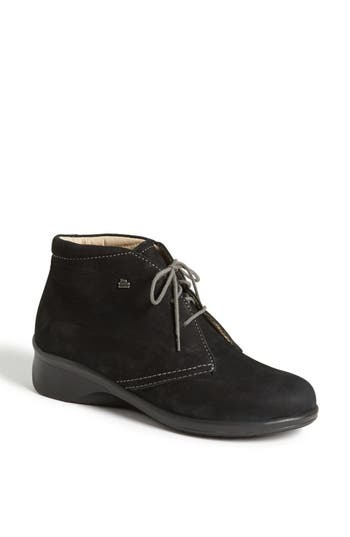 Style Name: Mephisto 'seddy' Bootie (Online Only) (Women). Style Number: 900322. Available in stores. A minimalist bootie with a padded collar is crafted with a removable, anatomical cork footbed and flexible sole for maximum comfort. 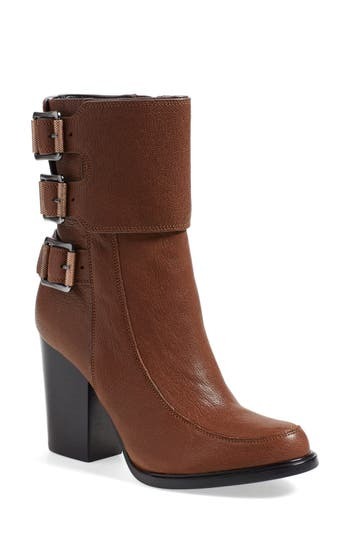 Style Name: Finn Comfort 'Mostar' Bootie. Style Number: 903875. Available in stores. Take on the trails with a comfort-minded boot handcrafted in Germany from vegetable-tanned leather. The ergonomic Finn Comfort footbed cradles your foot with every step, and can be removed for washing after dusty treks. 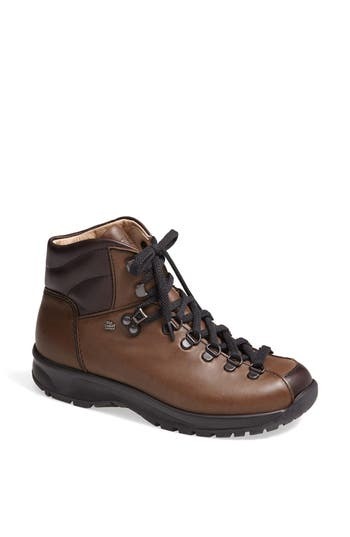 Style Name: Finn Comfort 'Garmisch' Leather Hiking Boot. Style Number: 200923. Available in stores. 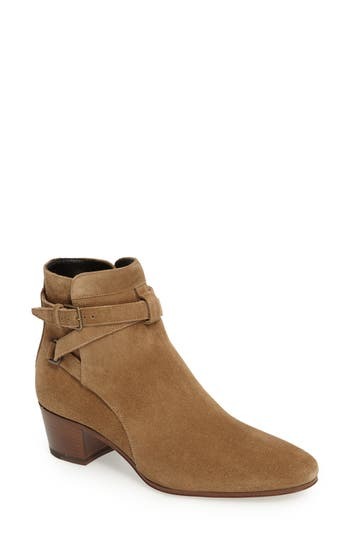 Equestrian straps gird a polished leather jodhpur bootie with sleek panache. 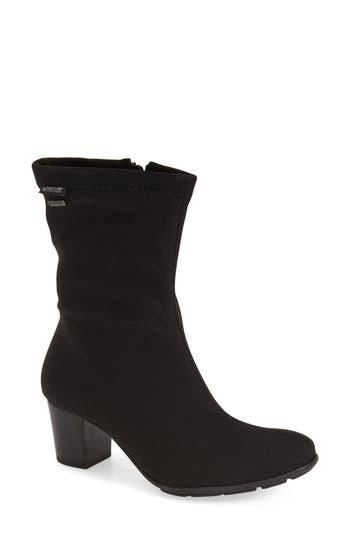 Style Name: Saint Laurent Bootie. Style Number: 638133. Available in stores. 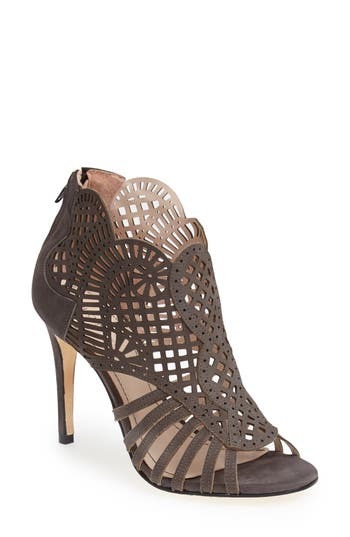 Delicate laser-cut perforations dance across the buttery-soft nubuck upper of a stunning open-toe bootie with a scalloped topline. Style Name: Klub Nico 'Mirelle' Cutout Bootie (Women). Style Number: 45807. Available in stores. Even if it's raining, you can still walk in style in an almond-toe Chelsea bootie outfitted with elastic gore insets at the sides for a custom, comfortable fit. 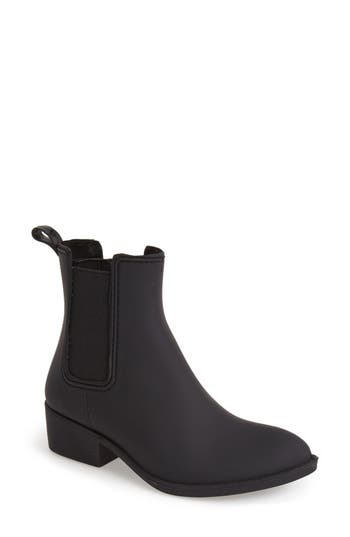 Style Name: Jeffrey Campbell 'stormy' Rain Boot (Women). Style Number: 827220. Available in stores. A darling fitted rain boot features an embossed enamel signature plate and a glorious grosgrain bow-just think of it as riding boot in front, party boot in back. 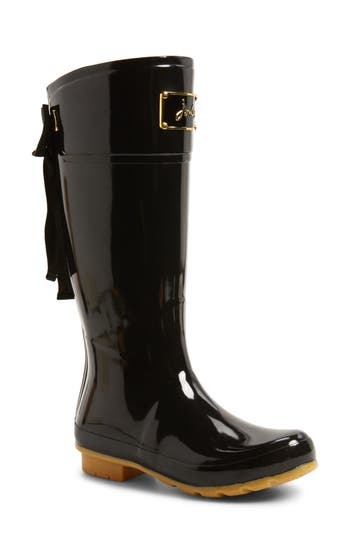 Style Name: Joules 'Evedon' Rain Boot (Women). Style Number: 882863. Available in stores. 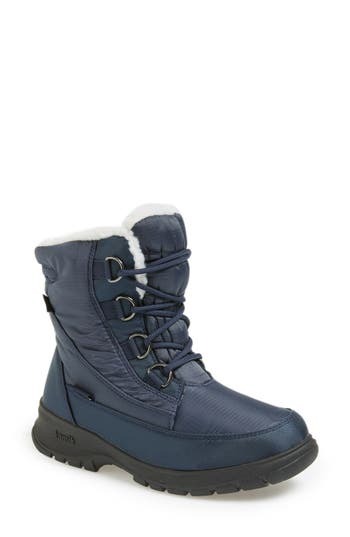 Step fearlessly forth into the slush and snow with a stylishly warm winter boot lined with plush faux-shearling and foam insulation for a result that delivers superior comfort and reliable protection even in -40 degree Fahrenheit. A DriDefense insert gives this boot waterproof protection for snowy sidewalks and parking lots. Kamik has been making footwear that brings together their Canadian heritage and durability for over 100 years. So no matter the conditions, you can always enjoy your journey. 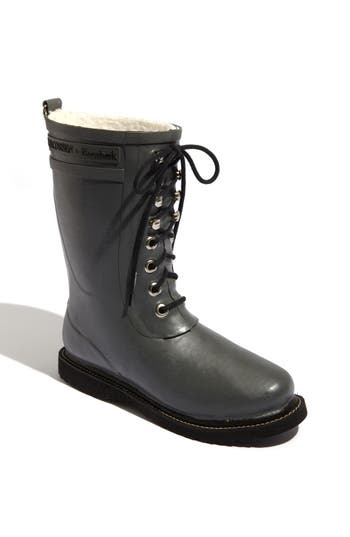 Style Name: Kamik 'Baltimore' Waterproof Boot (Women). Style Number: 811857. Available in stores. A stacked woodgrain heel and platform grounds a cleanly styled bootie that offers all of the comfort for which Dansko is known, thanks to its contoured footbed and single-sole construction. 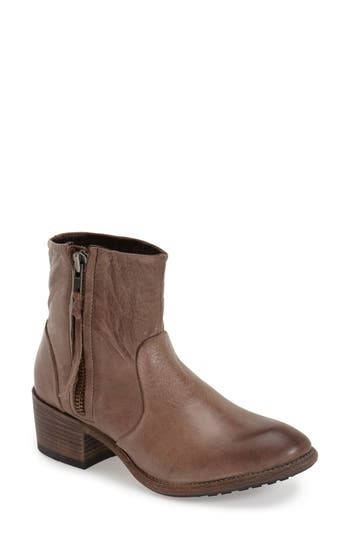 Style Name: Dansko 'Maria' Bootie (Women). Style Number: 857845. Available in stores. Cutout handles and a stretch neoprene shaft allow easy entry in a lightweight, waterproof boot featuring quick-drying DuraFresh lining and a nonslip outsole that provides superior traction. 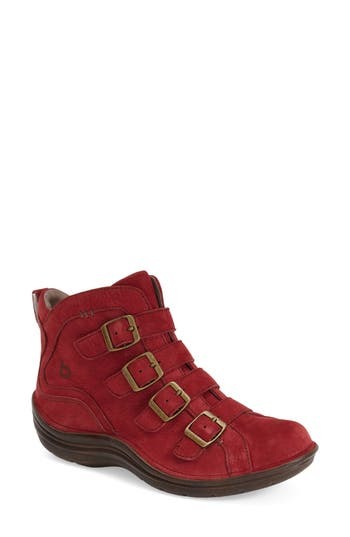 Style Name: Bogs 'seattle' Waterproof Short Boot (Women). Style Number: 1095190. Available in stores. Chelsea-inspired elastic goring eases the fit of a comfortable rain boot that will make going out in wet, stormy weather feel like a pleasant walk in the park-for your feet, anyway. Style Name: Bernardo Peony Short Waterproof Rain Boot (Women). Style Number: 5007877. Available in stores. A curvaceous topline styles an alluring lace-up bootie crafted in buttery-soft leather or suede-while patent-pending arch support and a cushioned, foot-hugging footbed ensure day-long comfort. 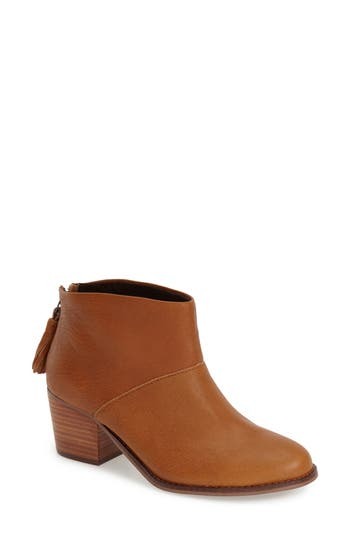 Style Name:L'Amour Des Pieds 'Florrie' Bootie (Women). Style Number: 1142632. Available in stores. Finely textured leather is shaped into a stacked-heel bootie that completes your look with a hint of rustic sophistication. 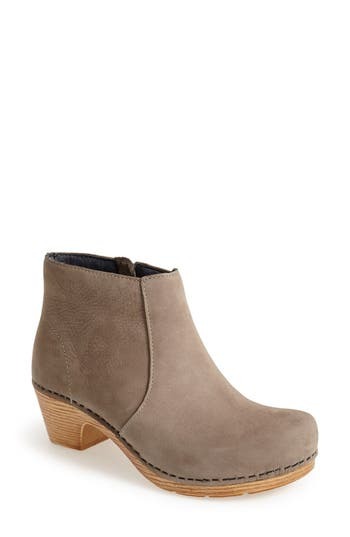 Style Name: Toms 'Leila' Bootie (Women). Style Number: 1114844. Available in stores. A stylish flared-cuff short boot made from sleek stretch nylon features an anatomically shaped, removable insole and a chunky block heel. Style Name: Mephisto 'Lucilla' Boot (Women). Style Number: 1149011. Available in stores. A soft leather bootie grounded by a chunky, stacked heel will keep you on-trend no matter where your day or night takes you. 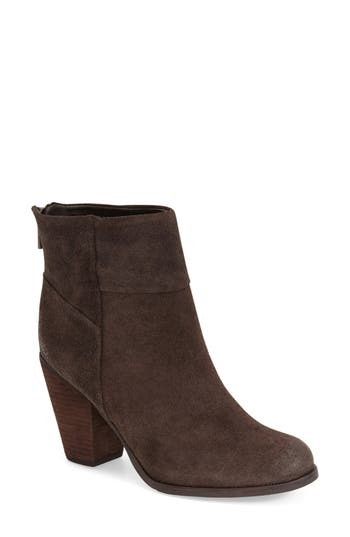 Style Name: Arturo Chiang 'Hadley' Bootie (Women). Style Number: 5005527. Available in stores. A button-accented pull tab tops a handcrafted riding boot fashioned from smooth, sturdy leather for a classic-inspired look. 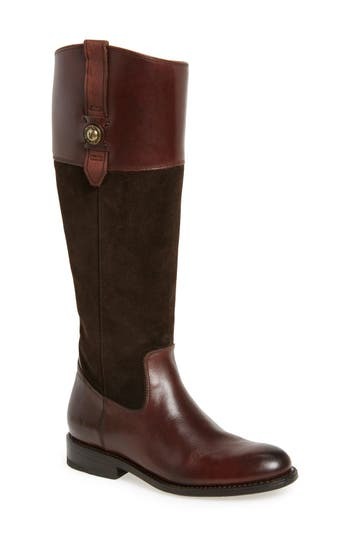 Style Name: Frye 'Jayden Button' Tall Boot (Women). Style Number: 1072844. Available in stores. Casual style and comfort come together in a versatile wedge bootie featuring asymmetrical decorative lacing on the boot shaft and a cushioned insole for ultimate all-day wear. Style Name: Bionica 'Corset' Bootie (Women). Style Number: 1170350. Available in stores. A quartet of buckle straps lends modern military style to an ultra-light high-top sneaker bootie fitted with a comfy cushioned insole. Style Name: Bionica 'Orion' Bootie (Women). Style Number: 1170189. Available in stores. Tiered, mixed-metal buckles detail the cuff-wrapped shaft of a striking leather boot styled with unconventional seaming and a modern block heel. 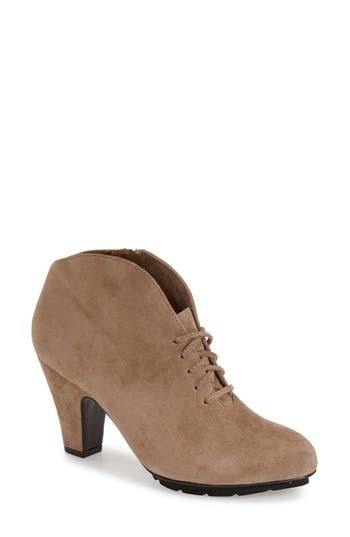 Style Name: Calvin Klein 'Dezi' Bootie (Women). Style Number: 5069261. Available in stores. A stacked woodgrain heel and supple, washed leather style a Western-inspired bootie that goes with practically everything in your wardrobe. 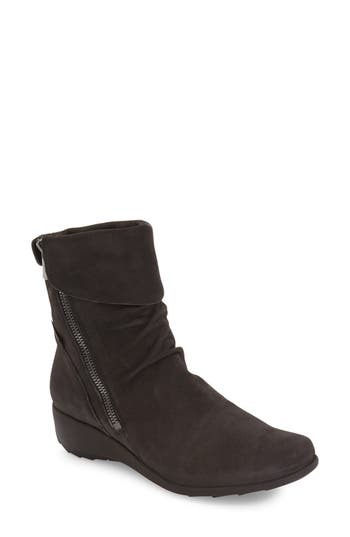 Style Name: Blackstone 'Kl89' Bootie (Women). Style Number: 5089155. Available in stores. 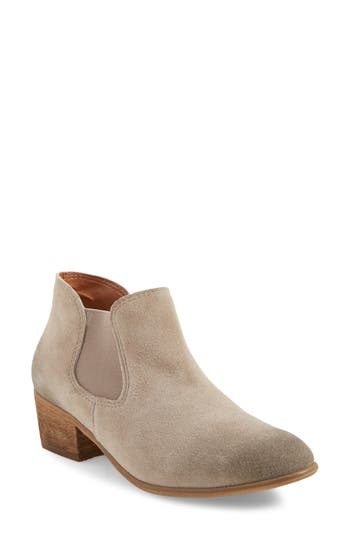 An essential almond-toe bootie is shaped from supple suede and equipped with elastic gore insets for a comfortable fit, while a burnished toe and a stacked woodgrain heel finish the look with trend-savvy appeal. Style Name: Bp. 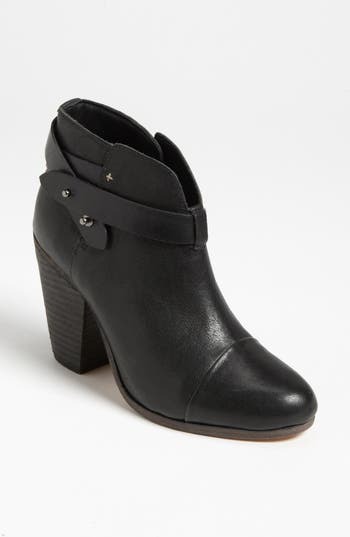 'Tripp' Bootie (Women). Style Number: 1189608. Available in stores.